KAMPALA – Two people who were convicted of causing a financial loss of UGX24.7 billion in the Mukono-Katosi Road contract have been granted bail after spending eight months in Luzira Prison. The two include businessman Apollo Senkeeto also known as Mark Kalyesubula who was the country representative of Eutaw Construction Company. 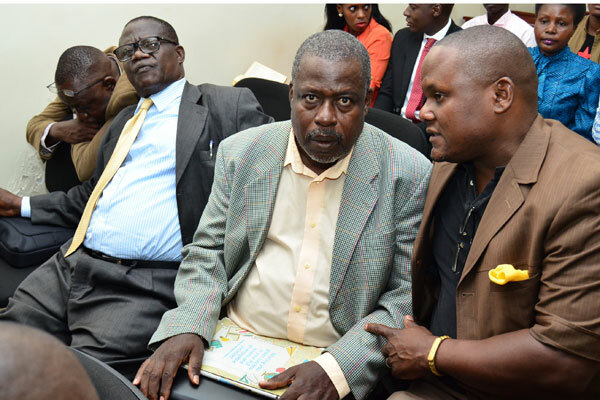 He was accused of fleecing Uganda National Roads Authority (UNRA) in the Katosi contract. The second is UNRA accountant Wilberforce Senjaako. Justice Cheborion Barishaki, of the Court of Appeal, has released on bail the two convicts on a term of UGX10 million. Justice Barishaki who heard the bail applications of the two men in December last year has considered their ill-health which needs specialised attention outside prison cells and the fact that they presented sound sureties to ensure their return to court whenever needed. The judge has further ordered Mr. Senkeeto to deposit his passport with court, his land title for land at Gombe and have the UGX10m he deposited in the High Court as bail transferred to the Court of Appeal. Justice Lawrence Gidudu of the Anti-Corruption Court sentenced Mr. Senkeeto to 10 years, former UNRA director of finance and administration Mr. Joe Semugooma to five years for abuse of office and also imprisoned him jointly with his former junior, Mr. Senjaako to another five years for corruption. Senkeeto, SSemugooma and Senjaako were part of the seven persons including former Work’s minister Eng. Abraham Byandala who were indicted on 23 charges in connection with the bungled Mukono-Katosi Road contract. The judge described Senkeeto as the main architect of the scam together with his American friends saying that his manipulations led to the loss of jobs by many people in UNRA and a new contractor was engaged to take over the job at approximately UGX250b. However, court acquitted Eng. Byandala, former UNRA acting executive director Eng. Berunado Sebugga Kimeze, Mr. Marvin Baryaruha (former legal counsel) and former Housing Finance Bank employee Mr. Isaac Mugote. The convicts challenged their respective sentences before the Court of Appeal while the IGG has also appealed against the acquittal of minister Byandala and three others.